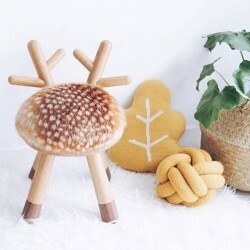 The Bambi Chair designed by Takeshi Sawada is an object made from the heart, a true sculpture of fine art and a children's chair. 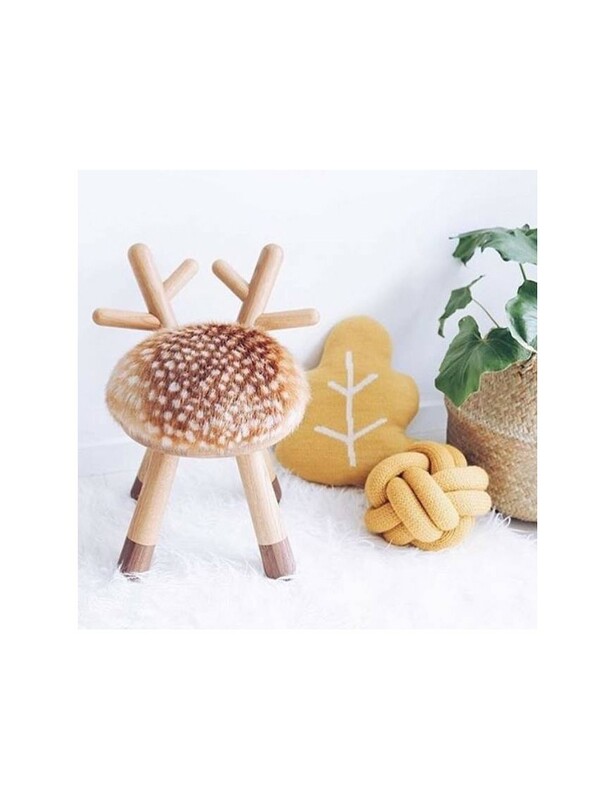 It is made in fine materials with very clear references to the fallow deer. The back of the chair is formed like small antlers and the seat is upholstered with faux fur including the small white dots giving it its characteristic appearance.